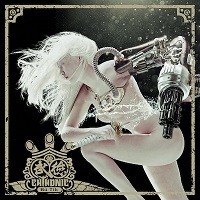 Forming in the late ‘90s, Taiwanese metal act Chthonic have been a band that has continued to develop over time. 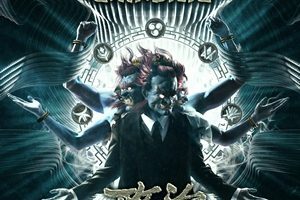 With their first few releases being more drawn towards the traditional/symphonic black metal side of things, they began to flavor their releases with more and more Taiwanese elements, transforming them into a much more unique entity. That trend has continued up to now, with the band’s latest, Battlefields of Asura, being recently released – their first new full-length album in five years. But to say that they’ve been slacking would be an incredible understatement. Always involved in activism for political and social issues, vocalist Freddy Lim created his own political party and was voted into the Taiwanese Parliament in 2016. Now balancing his role in government with fronting a heavy metal band, it’s taken some time to get back into the swing of things. We were able to talk to Lim about the new album and all its details, but also how his political life weighs into things, his admiration of the Dali Lama, and even what advice he would give to young people wanting to get into politics. 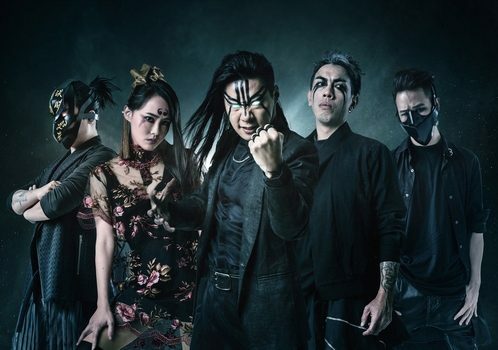 Dead Rhetoric: How does Battlefields of Asura continue to expand the ongoing narrative of Chthonic’s music? Freddy Lim: First of all, the songs on this album are all connected to different gods and goddesses, and the values and stories behind them. I think the listeners can consider it an album that tells all of the mythology stories of Taiwan. That’s the easy version. If the people want to go deeper into the stories and concept, it’s a prequel to our previous albums from 2005’s Seediq Bale to Mirror of Retribution to Takasago Army to Bu-Tik. Those four albums are one giant conceptual story, and to make a long story short, it’s about a medium who has the power from gods and goddesses to travel through Heaven and Hell to change the history of Taiwan. Battlefields of Asura talks about how the medium was born, with all of their divine powers. That’s the deeper concept behind the album. Dead Rhetoric: What do you particularly enjoy about using Taiwanese instruments in your music? As you just mentioned, there’s a lyrical tie-in as well. Do you feel it’s made the band’s sound more unique? Lim: Definitely. In the first few years of the band in the late ‘90s, I knew that we had to mix some local elements and taste into our songs. But we were writing metal songs first and then adding in some Taiwanese flavors to the songs. In our more recent works, we’ve done the opposite, which is more natural to us: we write Taiwanese songs first. We use the Taiwanese instruments and the Taiwanese Pentatonic melodies, and then make them heavier. In our earlier years, we called ourselves black metal, or symphonic black metal, but now we prefer folk metal, because they are Taiwanese folk songs first, and we make them heavier. It’s more natural – I can even sing the original composition to my mom or grandma and they can understand. They don’t understand the metal result, but they like the original ideas. Dead Rhetoric: Did that reasoning help to bring about the acoustic album you did a few years ago? Lim: We have been asked to play acoustic versions of some of our songs on Taiwanese radio stations. So in the beginning, we played them roughly. But people liked them – even my parents could understand them. So we wanted to seriously re-compose them. It’s not too difficult now, because our more recent songs have been written as Taiwanese folk songs first. Dead Rhetoric: You were elected two years ago into the Taiwanese Parliament. Has the turn of events in your life since the last album influenced your songwriting? Lim: Yes, the last five years made a big influence on my songwriting. Because I have faced all different levels of difficulties, and there are many different types of emotions inside me in the last few years, it’s not just like the previous albums where I had sadness or anger that I wanted to express. On this album, I have more complicated emotions, like frustration, joy, and even how to retain my compassionate and optimistic ideas. So it’s quite complicated. I think the listeners can also find some emotions to connect to themselves. It’s not just a storytelling album – it connects to people as well. Dead Rhetoric: There was a film that the band was involved in that was released last year as well [Tshiong]. What brought this idea to life? Lim: That film was actually produced in 2014, which was before I decided to run for Parliament. It was actually a piece of a series of our albums, so it was kind of another part of the story. It’s based on a kid in modern times, who is the embodiment of our character in our series of stories. This kid runs into members of Chthonic and Randy Blythe [Lamb of God]. But it’s actually a comedy, and not a serious story. There’s fooling around everywhere – I think the Taiwanese audience enjoyed it, but I wonder if the foreigners can understand the Taiwanese style of humor [laughs]. There are many linguistic jokes [laughs]. Dead Rhetoric: With it being two years since you were elected, do you feel that you’ve found a balance between political life with fronting a heavy metal band? Lim: Yes, first of all, I can’t tour like we used to. We barely tour now. But writing songs and going to band rehearsal are the way that I express my feelings. Sometimes I feel like if I don’t go to band practice, or if I don’t write songs, I can’t really express my feelings that are deep inside me. If I couldn’t do those things, I would explode! I think being in the office and in Parliament actually makes me want to write more music. I have more feelings that I want to express. Lim: Yeah, but of course, my time is very limited. I can’t write as much as before. But I have so many emotions that I have to write songs. Dead Rhetoric: Do you see yourself and the band as ambassadors for heavy metal and Taiwanese culture to a wider audience? Lim: I think it’s like that naturally. In the first place, we want to write our kind of metal and share it with all of the metalheads in the world. But album by album, people want to learn more about Taiwan. They send us messages and emails to us. They even come and meet us backstage at our shows, and ask us about Taiwan. So it’s naturally been like that. I’m gotten used to it. It’s also driven me to learn more about Taiwan so that I can share more interesting things with people. Dead Rhetoric: How do you feel that Chthonic and yourself have used metal as a force of change for good in Taiwan? Lim: It’s hard to say. I think to change the country, it needs action. It’s difficult to say whether we can use music to change the country. But I do believe that to find your true self, and write the songs that can move you, these songs can move other people too. These songs can touch other people’s hearts, and then they might feel the optimistic direction that you do. They might share the same ideals and values as you. So first of all, I think you have to write the songs that move you and all the members of the band. Then those songs can change people’s feelings. But if you really want to change something, you need action. You need to be an activist online, or get involved with social issues. Dead Rhetoric: In being an activist for change for many years, how do you feel that getting involved has impacted your life? Lim: I think it made me think more about who I am, and how I connect to society. I really appreciate all of those experiences. I can remember in the mid ‘90s when I went to university, my feelings about politics were just to find out how it works, and why the government wanted to cheat us. Why had I been brainwashed by so many wrong messages from the government? The first thing I wanted to learn more about was society and politics. Then I started to become an activist, and the more I got involved with more issues, I started to learn more and I wanted to learn about more issues, such as LGBQT rights, environmental issues, labor rights, and all sorts of different issues. I feel more connected to the people in our society and I feel more complete. I really appreciate all the experiences I have had. Dead Rhetoric: You’ve met the Dali Lama a few times and hold him in high regard. What do you feel that you’ve learned from him? Lim: Compassion and patience. Those are the main things I’ve learned from him. He carried the burden of 6 million people – the Tibetan people. But he always kept his patience and his compassion, as well as being optimistic to all sorts of issues. He tried to lead his people in a wiser way. It inspired me a lot, because every time I face some difficulties or face some frustrations or things I can’t get over, I think about the Dali Lama and the heaviness of the burden on his shoulder, and how he continued to be optimistic and kept his compassion. I think that’s how we inspire people. With a model like him, we can all play our own roles better. Dead Rhetoric: With over 20 years as a band, has Chthonic helped to inspire more heavy metal bands within Taiwan? Lim: Definitely – the young Taiwanese bands try to discover more elements and materials from Taiwan to write into their songs. I think all of the ideas and materials that come from the society and the people around you can make you write songs that will move all people – not just metalheads. You make more people like metal – that’s a good thing! There are many Taiwanese kids that don’t know metal, but because there are these bands trying to use the Taiwanese materials/ideas/stories, they attract more young kids, and then they want to learn more about metal. Dead Rhetoric: Earlier you talked about getting involved. What advice do you have for young people in terms of getting politically involved? Lim: Of course, being an activist online is good but it’s not good enough [laughs]. When you feel that there is something wrong and you want to change it, there must be other people that are trying to change it – try to join them. Try to connect to more people to change something. Don’t just click “like” – that’s my suggestion. Dead Rhetoric: What plans do you have with Chthonic over the coming year? Lim: I think next year we will try to find some metal festivals to play. I think that will be easier for the band. Hopefully we will play some US and European festivals. We are looking for something that will fit into my schedule.